These are brand new General Motors Vortec 2400 liter industrial engines. They are found in the Hyster forklift trucks . Yale forklift trucks and Doosan applications. 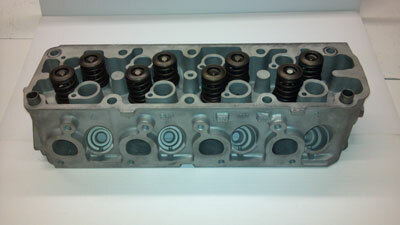 Engine parts are available for purchase, such as cylinder heads, crankshafts, gaskets and other parts. We can rebuild this engine on a custom build bases. Please call! Description :Designed to work with gasoline, liquid propane gas and natural gas. Pistons have high silicon content for improved durability and noise reduction. Sintered powdered-metal exhaust valve seat inserts for enhanced durability. World-class engine sealing system for superior leak protection. DIS ignition system. Poly-V -belt harmonic balancer standard.